Rebati Phukan's disappearance could be the work of actors in both ULFA factions. Rebati Phukan, the businessman and former Oil India Limited employee, has been missing since April 22. Phukan's disappearance has resulted in protests in Tinsukia – the area from where he had disappeared. The protesters had blockaded NH37. He was a childhood friend of United Liberation Front for Assam (Independent) [ULFA(I)] chief, Paresh Baruah. 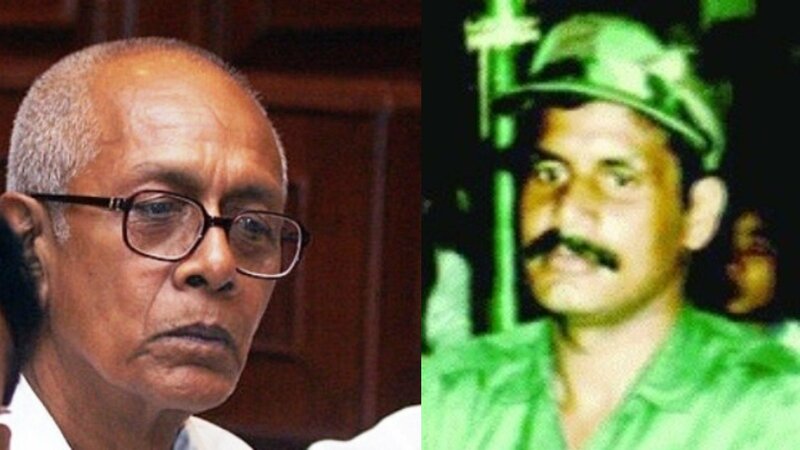 The two used to play football together before Baruah joined the undivided ULFA in 1979. Phukan had been trying to bring Baruah to join the peace talks. The peace talks began with the Centre after a split in ULFA in 2009, with Arabinda Rajkhowa-led ULFA(Progressive) [ULFA(P)] entering the talks along with other arrested members. According to his family, Phukan had recently arrived from Pune and had gone for his morning walk. He did not return. The family tried calling his mobile numbers, but both were switched off. He had a habit of switching his phones off when he went for his morning walk. This turn of events has led to a row of finger-pointing. Baruah, from his clandestine location, has alleged that this disappearance was orchestrated by those opposed to him joining the talks. Anup Chetia of ULFA(P), however, has urged the police to investigate and trace who is truly behind it, even though the fingers are being pointed at ULFA(P). According to The Wire, an unnamed source within the Rajkhowa camp had said that the talks are in the final stages and that they were only waiting for the National Register of Citizens (NRC) process to be completed. The source also mentioned that they were waiting for the Supreme Court petitions regarding the Assam Accord to be disposed. The question on everybody's lips regarding this disappearance is: who stands to gain? The known parties, who have an interest in Baruah joining the talks are: the Indian government, ULFA(P) and ULFA(I). From the government's perspective, Baruah joining the talks would be a dream come true. Assam's geographical position in the Northeast is central. The shortest routes between most states invariably requires one to cross Assam. Therefore, if militancy in Assam is completely eliminated, it will also make movement for groups based in other states more difficult. ULFA(I) is also a constituent of the United National Liberation Front for Western South East Asia (UNLFW). If ULFA(I) were to join the peace process, then the UNLFW would suffer a major loss of manpower. Thus, it is inconceivable that the government would want to disrupt the process of bringing Baruah to the negotiation table. ULFA(I) is in a different position. While there have been renewed recruitment drives in Upper Assam, the Assam police views their swelling numbers as something not to be overly anxious about. The reason is that the determining factor is 'lethality' and not the numbers. ULFA(I) has greatly reduced mobility, since the talks began and its activities are limited to mostly Tinsukia district. It should be noted though that the faction has reportedly conducted joint tactical exercises in Myanmar along with CorCom – a conglomeration of valley-based Manipur militant groups. One possibility is that there may be hard-liners within the Baruah camp, who would be opposed to talks. ULFA(P), on the other hand, has been portrayed as the mastermind behind Phukan's disappearance. There may be some truth in this speculation, as on ULFA's raising day, Anup Chetia had commented that they would invite Baruah once the government showed its 'sincerity' in the talks. This may indicate that Chetia may have one foot in the jungle, while sitting at the negotiation table. Peace talks are always prone to breakdowns. The practice of the Centre, regarding instituting peace talks, has been to place precedent conditions. The main condition they put forth is that the cadres are to remain within the designated camps. This condition provides the government the upper hand in the negotiations. If the talks were to get foiled, the government knows where the camps are, who the camp supervisors are, and who live in these camps. Not to mention that while engaged in the talks, the groups are unable to raise funds and instead subsist on the 'stipends' paid by the government. Stipends cannot be sufficient for acquiring arms and ammunition, let alone maintaining existing stocks. Thus, their operational readiness is systematically diminished. Another aspect of peace talks is that they often get dragged for years. This long-drawn-out process ends up becoming a battle of psychological attrition. While the cadres are confined to the camps, the government forces undertake a 'hearts and minds' campaign. They build toilets, electrify villages, build roads, and conduct lectures on how to join the forces. Meanwhile, the morale of the cadres in the camps is diminished with boredom setting in. The net result is that the discipline becomes increasingly difficult to maintain within the camps. The camp supervisors are unable to sufficiently restrain the frustrated lumpen or criminal elements, who in turn, end up leaving the camps and commit crimes in the surrounding areas. Therefore, upon entering the designated camps, the groups have no option but to accept government’s conditions. Considering these factors, the split in ULFA may, in fact, be a ruse. While a portion of the group is living in the designated camps, the other maintains its operational readiness. If the talks are foiled, the two can 'reunite'. This is a likely scenario because India's reputation is not that of a trustworthy partner, when it comes to peace talks. The Mizo Accord has not been completely implemented. The ongoing talks with the Naga groups have resulted in a lot of statements, but hasn’t changed anything substantially. Even, the contents of the Framework Agreement are not known three years after having signed it. Against this backdrop, it is then possible that the hard-liners within ULFA(I) or some within the Rajkhowa camp may want to delay Baruah's entry into the talks.